Denim jackets overloaded with patches are all the rage now, and I've been trying to look for the perfect one for a few weeks already. I also tried to search in Japan but they are either too expensive or not the one that I am looking for. So here's the solution brought to us by PENSHOPPE: A DENIM LAB DIY BAR! Read on for the details, it's till Sunday only! Penshoppe's Denim Lab DIY Bar is located only at the SM Megamall Mega Fashion Hall, and will be from today till Sunday (July 3, 2016). 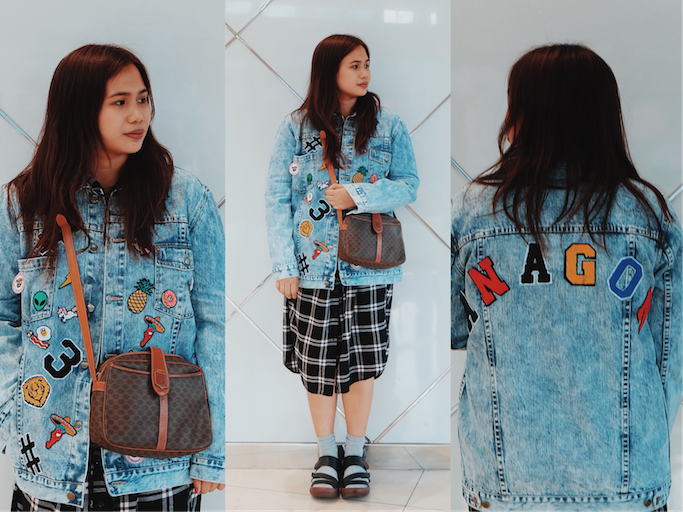 This three day affair will allow you to shop for your denim jacket, pants, skirt, etcetera - and have it customized with character, numberical, and alphabet patches. If you're one of the first 20 to purchase Php 2000 worth of denim / patches... Register immediately so you can have your denim painted by the featured artist FOR FREE! Earlier, it was the talented Googly Gooeys! After that, time to show-off your DIY Penshoppe pieces! Hi King and Deegee! Friends with different styles. :) We love our embellished Penshoppe denim jackets! Squad Goals?! Haha! Thank you Penshoppe for having us! Purchase Php 1000 worth at the Penshoppe Denim Lab DIY Bar, and get THREE patches for FREE. Add-ons are at Php 20 to Php 25 only! Again, this event is till Sunday at the SM Megamall, so go for it!!! PS: My denim jacket overloaded with front and back patches costed only Php 2009 all-in-all! I had fun with you guys! Thank you for adopting me today! Love the Japan kwentos. Hehe.